Growth in urban areas has resulted in conflicts between road users as they share the roadway. Such conflicts are only exacerbated by failings in the planning process. 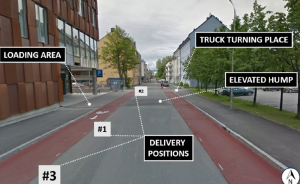 A study in Trondheim, Norway, looked at issues related to freight delivery on a street with a high volume of cyclists in order to identify how and where urban freight should be addressed within the urban planning process. Within the European Union, 12% of cyclist fatalities in 2013 were the result of an accident involving a truck, while within Norway this number is nearly 20% country-wide, and 35% when specifically considering urban areas. a mapping of the planning process through semi-structured interviews in order to understand the development decisions involving a facility requiring deliveries and the surrounding streetscape. The safety analysis identified several risk areas mainly associated with the turning maneuvers of trucks undertaken either before or after deliveries. The mapping of the planning process indicated that there were few to no discussions of freight deliveries during the planning, design, and construction of the building; neither were there any for the streetscape projects taking place within the same time frame. The absence of a dedicated freight policy and/or personnel at the governing authority, as well as lack of coordination amongst different plans (construction, street, thematic), are likely to lead to continued problematic and potentially dangerous environments such as that in the case study. Earlier integration of freight considerations is required to ensure sustainable freight systems in the urban environment. Pitera, K., Pokorny, P., Kristensen, T., & Bjørgen, A. (2017). 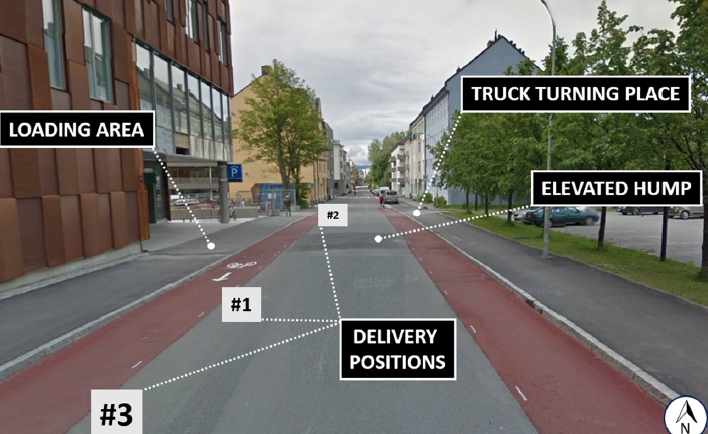 The complexity of planning for goods delivery in a shared urban space: a case study involving cyclists and trucks. European Transport Research Review, 9(3), 46.